Test (Assessment) Template presents a course in the form of a quiz or an exam. A list of all or a number of questions is shown to a learner. This template can be used to create a quiz or an exam. Content pages are not shown, only questions. All questions are shown on the same page. 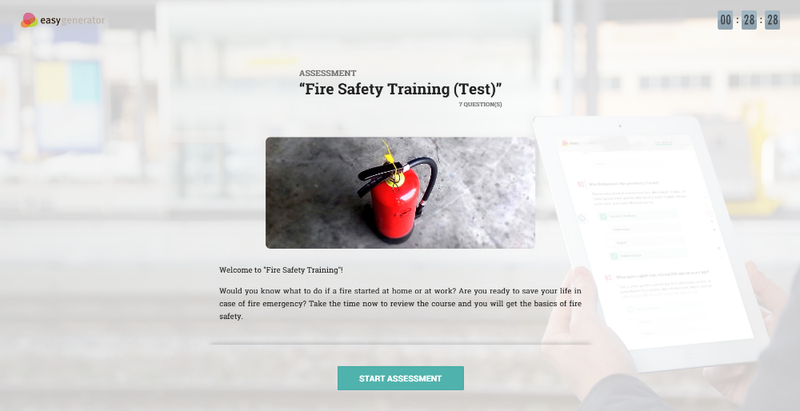 You can limit the number of attempts, randomize the order of questions and answer options, and set a timer for the assessment. You can provide overall feedback in the course afterword. Immediate feedback for correct/incorrect answers is not shown. Certificates are not yet available for this template. When learners launch a course, the introduction is shown, if any. 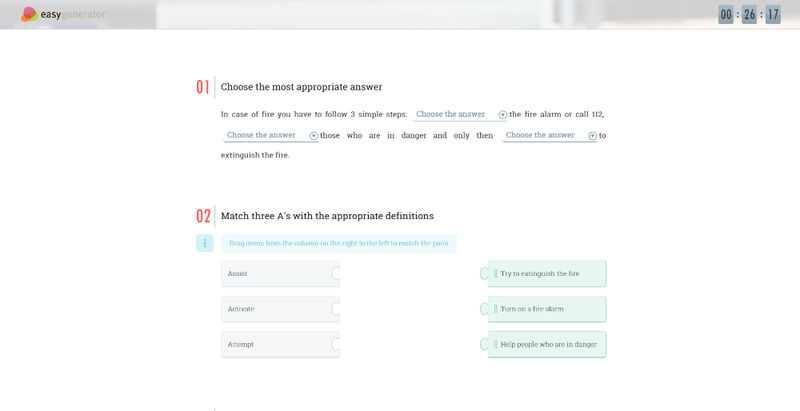 Then learners can click Start Assessment or just scroll down to see the questions. The list of all or a certain number of random questions from all sections will be shown on one page. If the Exam mode is applied to the assessment, no hints will be available. 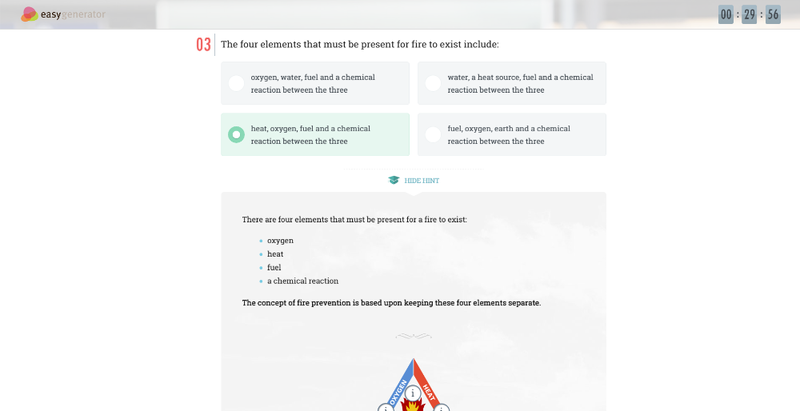 If the Quiz mode is applied, learners can click Show hint to see learning content of a corresponding question. 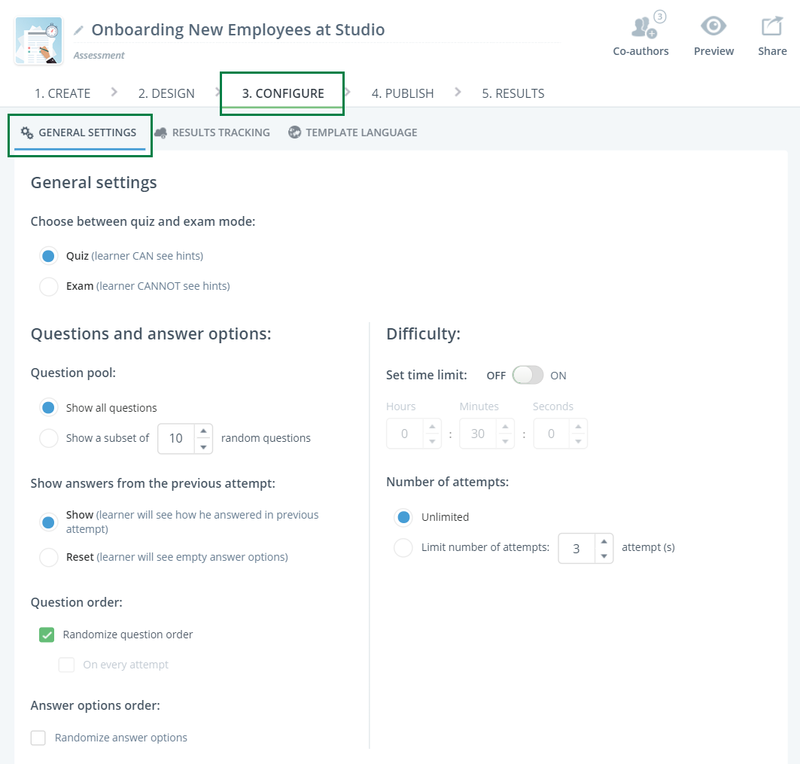 The Show hint button is available only if learning content is added to the question. 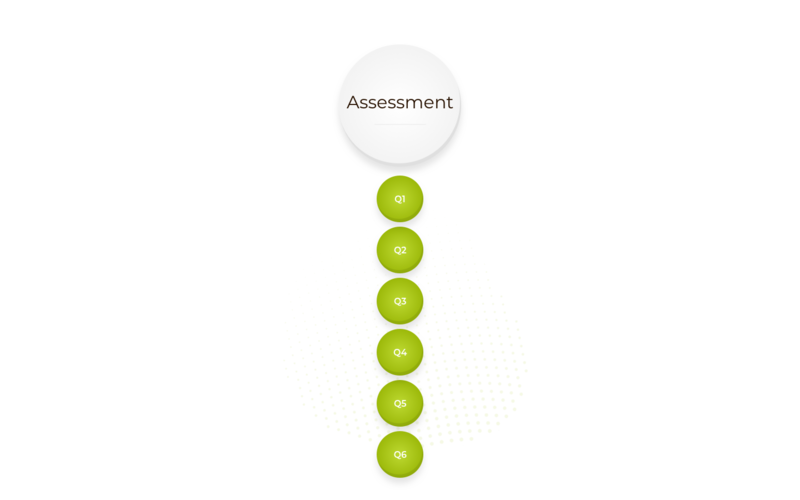 Having answered all the questions, learners can click Submit to finish the assessment and see their overall progress. Learners can also see the course afterword and check which questions have been answered correctly and incorrectly. Learn more about the course afterword here. You can customize the assessment course on the Configure step > General settings in the course editor. Quiz / Exam mode. In the Exam mode a learner can’t see any hints. 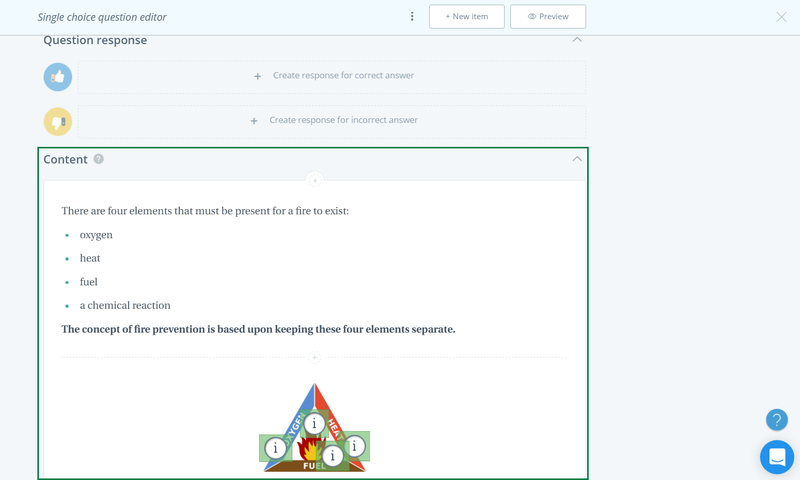 In the Quiz mode a learner can see hints or learning content added to questions (via the Content field under the Question Response fields). Under Design tab you can edit themes, branding (logo) and fonts.